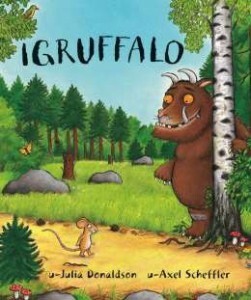 Pan Macmillan publishers recently introduced the children’s classic, The Gruffalo, in four new South African languages – isiXhosa, isiZulu, Sesotho and Setswana – and Exclusive Books is proud to stock all editions of this perennial favourite. A mouse took a stroll through the deep dark wood. A fox saw the mouse and the mouse looked good. Julia Donaldson and Axel Scheffler’s The Gruffalo has become a best-selling phenomenon across the world with over 13.5 million copies sold. This award-winning rhyming story of a mouse and a monster has found its way into the hearts and bedtimes of an entire generation of children and will undoubtedly continue to enchant children for years and years to come. No home should be without The Gruffalo! 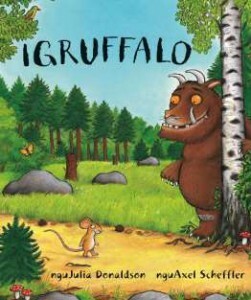 Walk further into the deep dark wood, and discover what happens when a quickwitted mouse comes face to face with an owl, a snake … and a hungry Gruffalo! Now in isiXhosa, isiZulu, Sesotho and Setswana, in addition to English and Afrikaans.